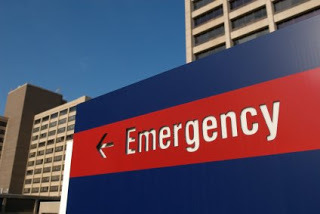 As migraineurs, unfortunately, there is likely a time when each of us will find ourselves seeking treatment at an emergency department. A recent research study examining how well patients understood the directions they received at the emergency department showed that 78% of people were not clear on what they had been told. The researchers broke patients’ comprehension into four categories. Among all of the comprehension problems, diagnosis and cause accounted for 15%; treatment in the ER accounted for 29%; what a patient needed to do at home to deal with the problem accounted for 34%; and instructions for what symptoms should prompt a return to the ER, 22%. About 80% of the people who misunderstood the directions they were given thought they understood. So don’t make the mistake of thinking you can’ t fall into this category. If you can, bring a friend or family member with you so that person can be in charge of paying attention to the instructions you are given. You’re most likely going to be groggy when you are discharged, so having someone with you to clarify things will be very helpful. Don’t be shy about asking questions about anything you are told and any instructions you receive from your treatment providers.